From time to time I’m lucky enough to interview people that make a living with the ukulele. Whether they’re players, luthiers or something completely different it always makes for interesting reading! 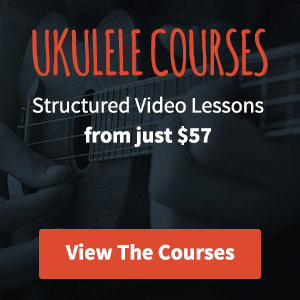 Will Grove White has played at Carnegie Hall, Sydney Opera House, is the author of Get Plucky with the Ukulele and one eighth of the Ukulele Orchestra of Great Britain. When he’s not playing with the orchestra he’s busy composing songs for film and TV – well, either that or playing the nose flute. The Mersey Belles, also known as cousins Nancy and Pearl are making waves with their ukuleles. Their unique act sees them beautifully performing classic songs from the 20s through to the 50s with an alternative spin on a few modern hits in there too. They made waves at The Grand Northern Ukulele Festival in 2014 and look set to have another big year in 2015.